Microsoft SharePoint is a Web application platform developed by Microsoft. SharePoint comprises a multipurpose set of Web technologies that are useful for many organizations, backed by a common technical infrastructure. SharePoint has a Microsoft Office-like interface, and it is closely integrated with the Office suite. The web tools are designed to be usable by non-technical users. Microsoft SharePoint can also be used for system and process integration as well as for workflow automation. Enterprise application software often provides some SharePoint integration capability, and SharePoint also incorporates a complete development stack based on web technologies and standards-based APIs. As an application platform, SharePoint provides central management, governance, and security controls for implementation of these requirements. The SharePoint platform integrates directly into IIS – enabling bulk management, scaling, and provisioning of servers, as is often required by large organizations or cloud hosting providers. 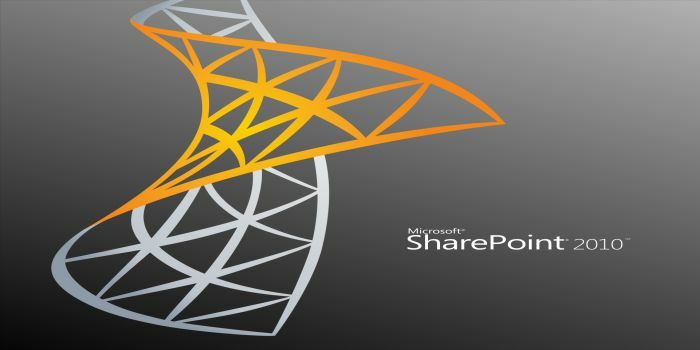 Microsoft has two versions of SharePoint available at no cost, but it sells premium editions with additional functionality, and provides a cloud service edition as part of their Office 365 platform (previously BPOS). The product is also sold through a cloud model by many third-party vendors. SharePoint Server 2010 is a web-focused system. The main interface for this, are the web browsers such as internet explorer, Mozilla Firefox etc. The main value of web-based user interface is to be accessible anywhere. In SharePoint there is no need to worry about being on a certain computer or installing any software, it just needs to be opened in a web browser and SharePoint Lists, libraries and sites can be accessed. Feature is a mechanism for deployment which drastically reduces the complexity of making site customizations and deploying upgrades on existing SharePoint sites Features can be used to package and deploy a set of SharePoint site elements such as pages, list types, list instances, site columns, content types, event handlers, master pages, page layouts, workflows, etc. we can also attach a piece of code with Features which executes when that Feature is activated/deactivated. SharePoint Feature is a set of XML files which are deployed in the web front end servers and can be bundled within SharePoint Site Definitions or can be individually activated in the SharePoint sites. All the features bundled in the Site Definition, are activated automatically when a new site is created using the respective site definition. • The pluggable behavior for installing or uninstalling Features within a SharePoint deployment. • The pluggable behavior for activating or deactivating Features at a given scope within a SharePoint Deployment. • Defined scopes of Features helps in determining where the custom code will run. • Site administrators can activate/deactivate a Feature from the SharePoint site front end. Same SharePoint Feature can be reused across multiple SharePoint sites depending upon the requirement which improves the component reusability. SharePoint can be mapped to access documents in a shared folder. You can easily access your documents and files from your desktop or any Microsoft Office application. Access SharePoint documents online from any computer, without using VPN. • Create private sites for different departments or committees that only members can see. • Restrict sites for communicating announcements or events to a department. • Use versioning to track different document versions. 1. Contemporary view- This view offers an optimized mobile browser experience to users and renders in HTML5. 2. Classic view- This view renders in HTML format or similar markup languages and provides backward compatibility for mobile browsers that cannot render in the new contemporary view. 3. Full-screen UI- There is also the ability to have a full desktop view of a SharePoint site on a smartphone device. Push notifications have become staple features for mobile applications and the devices that support them, and hence Microsoft is now supporting this with SharePoint 2013. This feature requires adoption though from 3rd party developers or internal custom development. The end result is that the mobile device will be able to receive notifications from SharePoint lists and sites. SharePoint Server 2013 introduces a new geolocation field type that can be used in a list. It can now make lists “location-aware” and display latitude and longitude coordinates through Bing Maps. An entry is typically seen as a pushpin on the map view. Although there are several ways to use this geolocation field, one key scenario is for mobile application development. Users can track or log location-specific data while they work remotely from the corporate office. Alternatively, the application can help them locate points of interest when it performs offsite functions. SharePoint Server 2013 enables a user to view certain kinds of dashboard content. This includes PerformancePoint reports and scorecards, and Excel Services reports in iOS 5.0 Safari browsers on iPad devices. SharePoint is regarded as the right platform for effective server administration, organizational interoperability, and application extensibility. For this reason, Ranosys Technologies also follows best of industry standard quality guidelines. Ranosys Technologies offers comprehensive SharePoint solution & custom SharePoint development for organizations of every scale and size. SharePoint application development services of Ranosys Technologies provide assistance throughout the implementation of SharePoint. Ranosys Technologies is adequately equipped to handle almost every kind of enterprise requirement. Our main motto is to expand our SharePoint expertise to greater levels and serve our clients. For this reason, we have engaged ourselves in offering multiple SharePoint services to a cross section of industries.